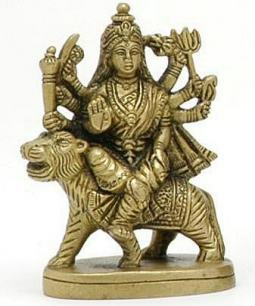 Sorry, we are currently sold out of 'Big Durga Statue Riding a Lion'. Please click the Wait List link below and you will be notified when it is back in stock. 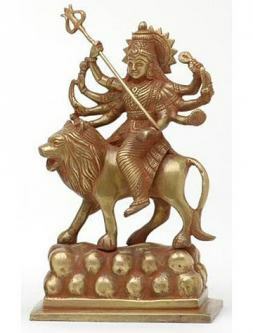 This is a big statue (13 inches) of the Goddess Durga riding on the back of a Lion. 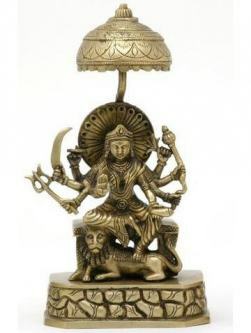 Most big Durga statues are made entirely of brass with a slightly darker finish. 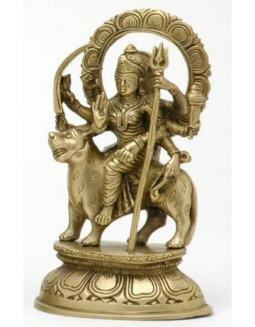 This durga Statue has a rich, deep finish which is due to the use of copper in the making of this statue. You are not likely to find any other figures of the Goddess Durga statues that are as attractive and as big as these. This figure clearly shows Durga to be as beautiful as she is deadly.